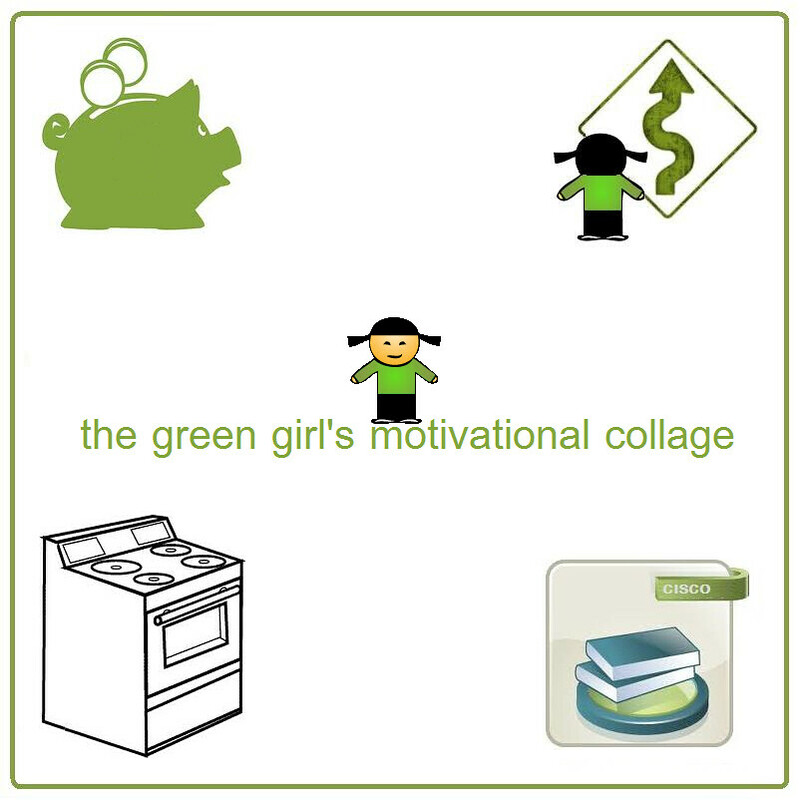 The Green Girl decided it was again time to update her Motivational Collage. Since my last collage, I ran the Athens Classic Marathon and completed the Long Beach Community Emergency Response Team (CERT) program. I still need to work on my Cisco certifications and Saying Goodbye. I have quite a bit of travel planned in the next couple of years so I want to start saving as much money as possible. I have vowed to keep my trips domestic next year so I can go to China, possibly Thailand, and Australia in 2012. 'Say Goodbye' is the act of formally letting go of something you've been holding on to. There are some unresolved issues in my life that I still need to let go once and for all. Cooking is something I've battled with over the years and I am determined to achieve some level of competency. I figured preparing meals at home will also help me in the money saving department since I consume a lot of pre-packaged meals. I'm struggling to focus on getting certified again. Cisco requires testing every three years and I let my certifications expire while I was consumed with graduate school. For those of you celebrating, the Green Girl wishes you and your loved ones a very happy Turkey Day. I will be heading up to my parent's house for the holiday weekend to play with my niece. The Green Girl ordered a set of MOO MiniCards to give out for personal contact cards. MOO MiniCards are half the size of a standard business card. 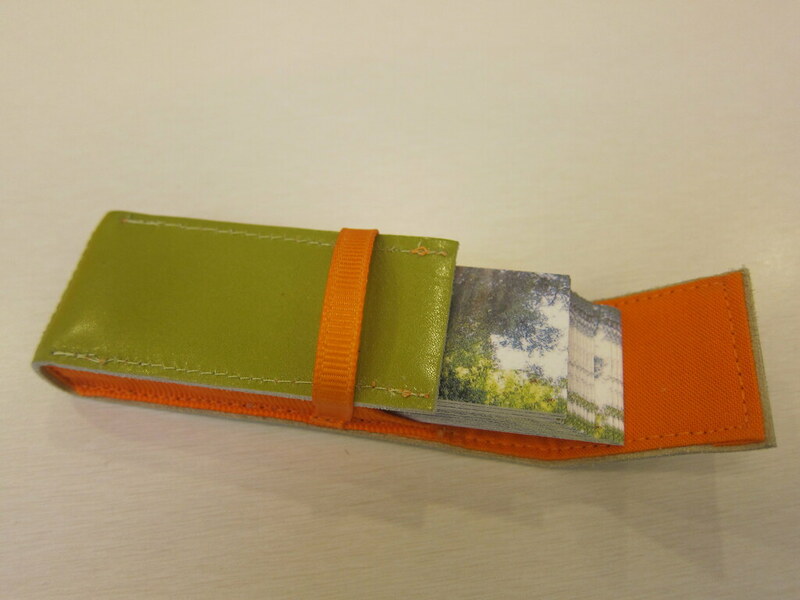 The MiniCards are printed on a thicker paper stock and finished with a matte laminate. They are acid and lignin free. On a few of the CasITa-to-5k runs, I had asked one of the CasITa-to-5kers, Brandy, to take some pictures of me for my MOO Mini's. I ultimately chose a shot from the CasITa-to-5k Moccasin Trail run. Even though I was appalled by my blatant heel striking, I really liked how it came out. 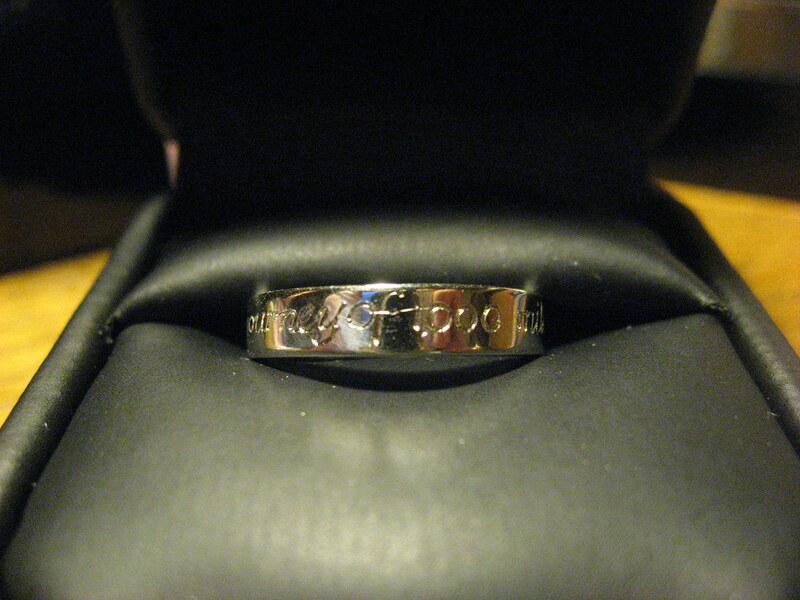 My mum knows how much I love this quote so she had it engraved on a ring for my birthday last year. Since I am slightly obsessed with storage and organization, after I placed my order, I headed over to Etsy to find a little holder to store my MOO Mini's. In my search, I came across the Splatgirl Creates store and the MOOPockets. The MOOPockets were available in the leather or suede color of your choice and the trim and lining could be customized as well. I am absolutely thrilled with how my MOO Mini's and MOOPocket turned out. 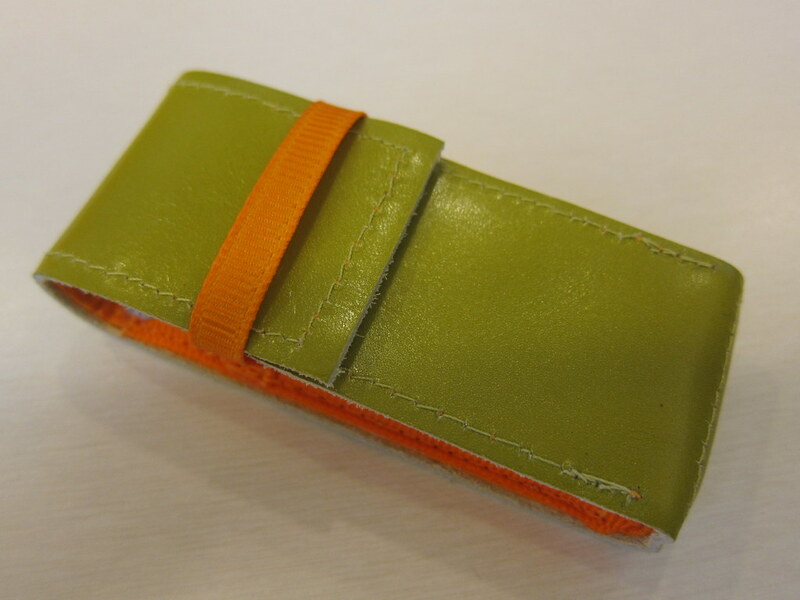 The Green Girl is pleased to announce the winner of the Softie Shoe Keychain Giveaway. There were a total of 31 entries submitted via blog reply or email. The winner number 20 was randomly selected based on results from random.org. Congratulations to the winner, Erica aka Rad Runner Girl! Please send your mailing address and customization details to giveaway@therunninggreengirl.com. Thank you to everyone who took the time to participate in this giveaway. The Green Girl joined the Sole Runners for a drizzling Saturday morning run this morning. Coach Steve started us off with the usual updates. We did body looseners before we split up - some Sole Runners stayed behind for a ChiRunning lesson with Coach Steve. I wasn't sure how heavy the rainfall was going to be so I wore my North Face Venture rain jacket just in case. As it turned out, the rain subsided long enough for us to get our run in. It was a surprisingly beautiful morning. The sky was almost completely obscured by the heavy cloud cover. The effect was eerily stunning. 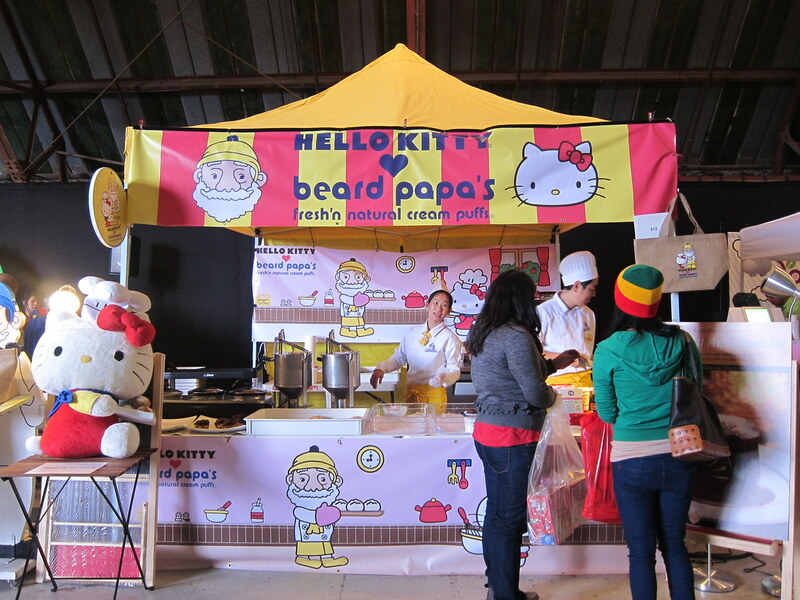 After my run, I headed up to Barker Hangar for Sanrio's 50th Anniversary celebration, Small Gift Los Angeles. I entered the hangar through a rainbow adorned with Sanrio characters. 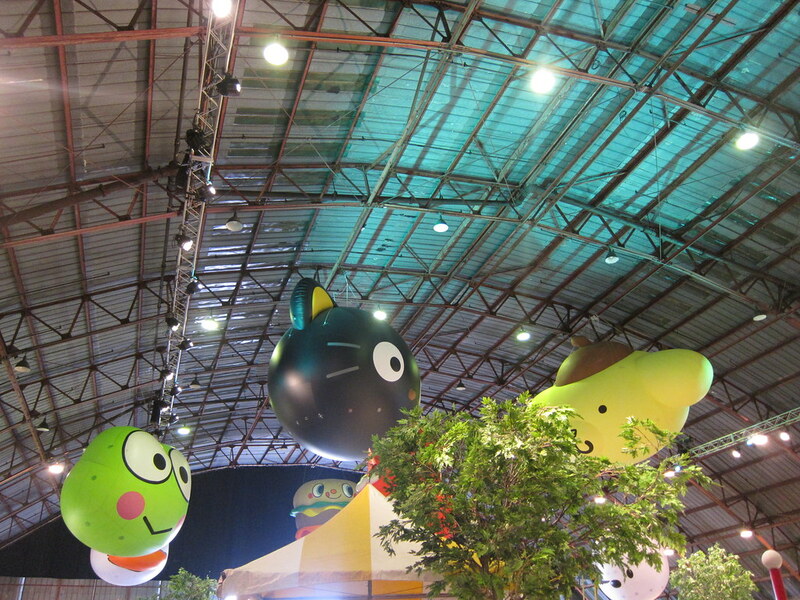 I was thrilled to see a giant inflatable Keroppi head hanging from the ceiling. 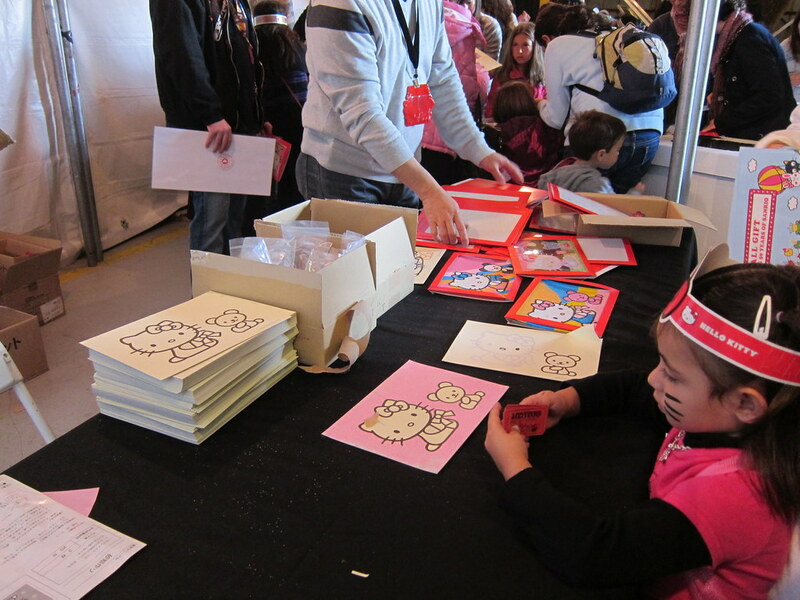 I walked past Kaitlyn's Sugar Land concession stand to the Craft Area where Hello Kitty sand art was being created. 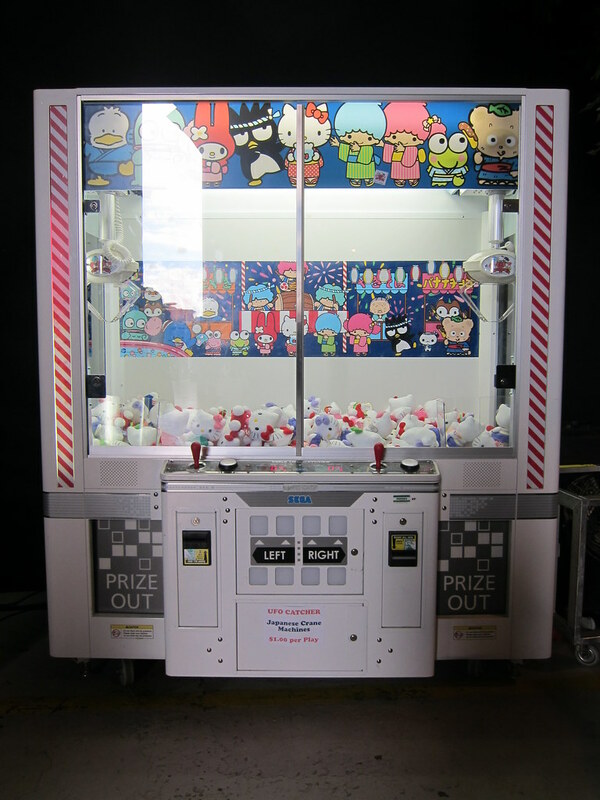 I went by the Mobile Food Court to the Arcade where I spotted a Japanese Crane Machine filled with assorted Hello Kitty dolls. 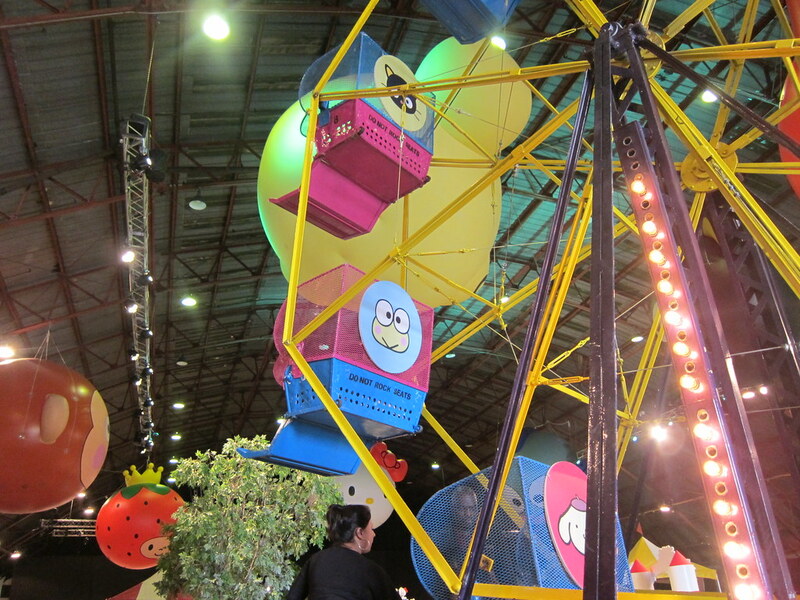 I almost squealed out loud when I saw the Keroppi chair on the Ferris Wheel. There was a Sanrio penny smushing machine but unfortunately, there weren't any Keroppi coins. 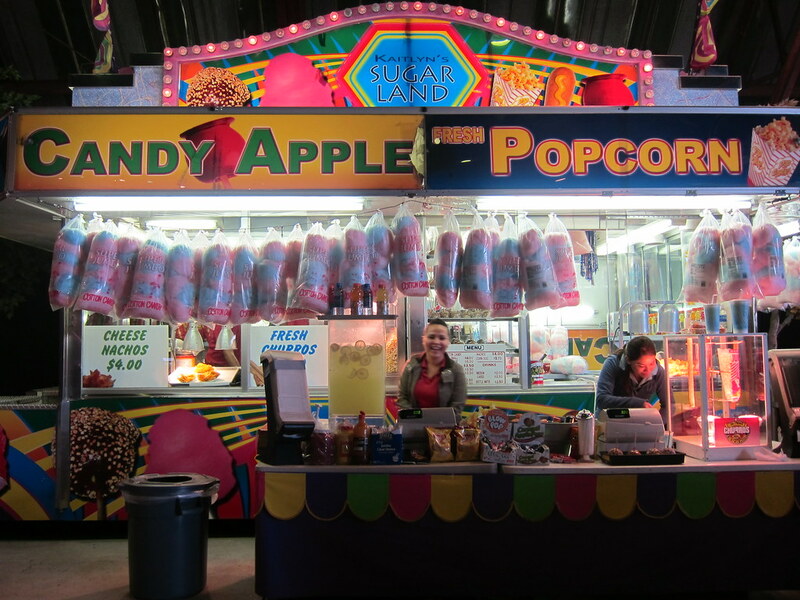 I stopped by the Ticket Booth to purchase tickets to play the Carnival Games. With my tickets, I played games and got a picture of myself superimposed on a map of Keroppi's home, Donut Pond. 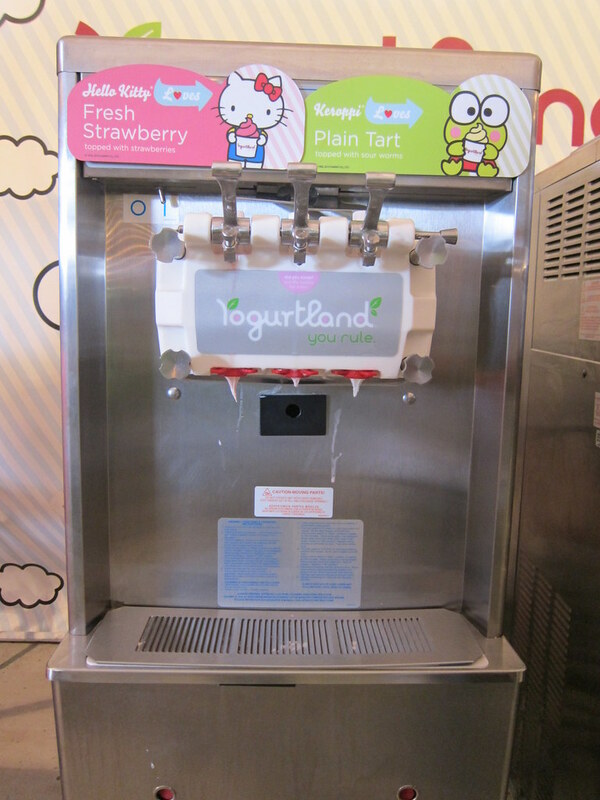 I was surprised to see Beard Papa had partnered with Hello Kitty but I was even more amazed to see a Yogurtland offering Keroppi-branded Plain Tart frozen yogurt. 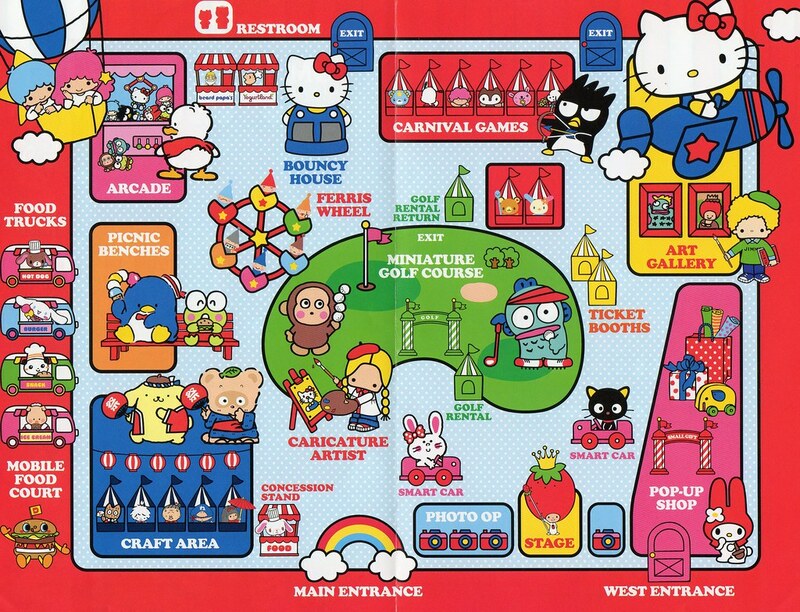 The Art Gallery was filled with unusual images of the various Sanrio characters. One of my favorites was a painting entitled 'Mount Rushmore Conquest', by Norma Christmas. Paul Frank also contributed to the gallery with his ode to my favorite frog, 'Squaroppi'. In the center of the celebration was the Miniature Golf Course. 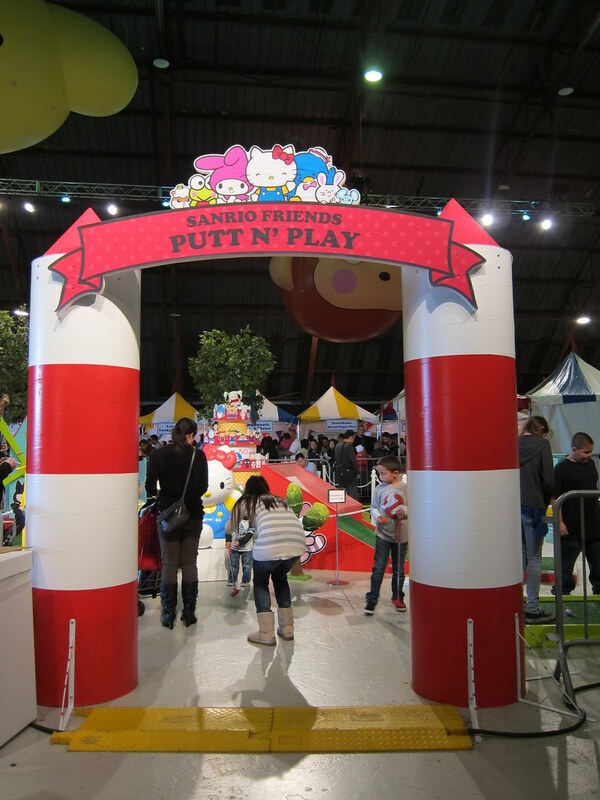 Around the perimeter of the golf course, they had display cases featuring Sanrio character collections. I briefly considered visiting the Small Gift Pop-up Shop but quickly lost interest when I realized the line wrapped around the hangar. 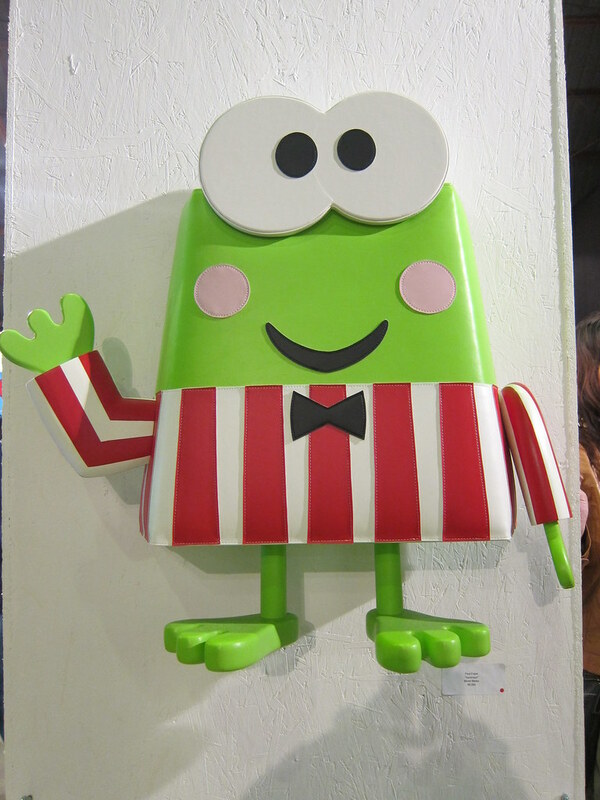 The highlight of my visit to Small Gift Los Angeles was finally meeting Keroppi. The Green Girl is thrilled to announce a customized Softie Shoe Keychain giveaway! I discovered mostevens' Etsy store, Mostly Even, Sometimes Odd, when I was searching for unique gifts for runners online. I thought the miniature felt shoes were adorable and I loved that she offered to do customizations. I asked mostevens if she could duplicate the Sole Runners logo. I was absolutely elated with the results (the picture didn't do the Softie justice) and I presented the Sole Runners Softie to my friend, Michelle, as a good luck charm before her marathon. 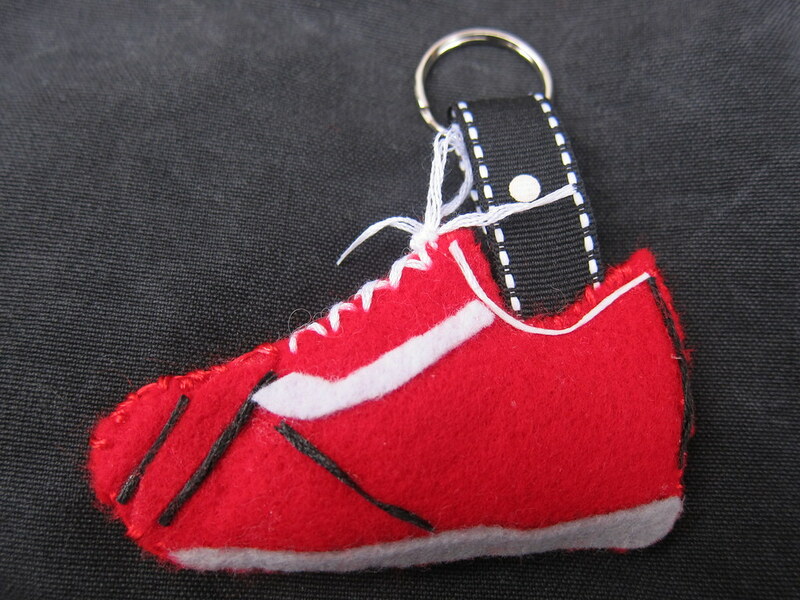 mostevens has generously offered one personalized Softie Shoe Keychain for a Running Green Girl blog giveaway. Before you enter this giveaway, please take a moment to visit mostevens' Mostly Even, Sometimes Odd shop to get some ideas on ways you could customize your very own Softie. The deadline to enter is Sunday, November 21st at midnight Pacific Time. The winner will be announced on Monday, November 22nd. The Green Girl cheered on the Sole Runners as they did the Run Like It's Recess 5k today at El Dorado East Regional Park and ran for cupcakes. 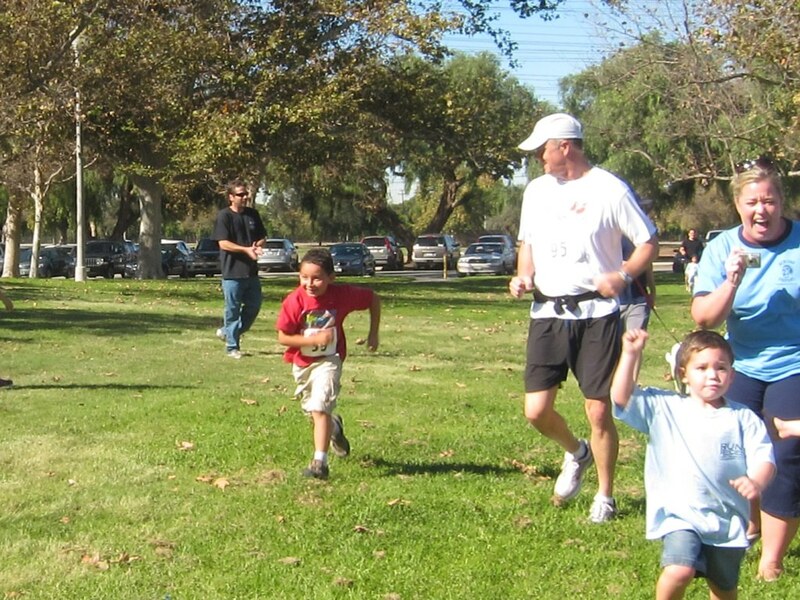 Run Like It's Recess featured a 5k run/walk, 1k kids run/walk, and 50-yard Toddler Run. The race benefited a local elementary school, Newcomb Academy. The 'cupcake' portion was not actually an official part of the race but a couple of the Sole Runners, Barb and Larry, baked a few batches of cupcakes for all the Sole Runners to eat at the Finish Line. 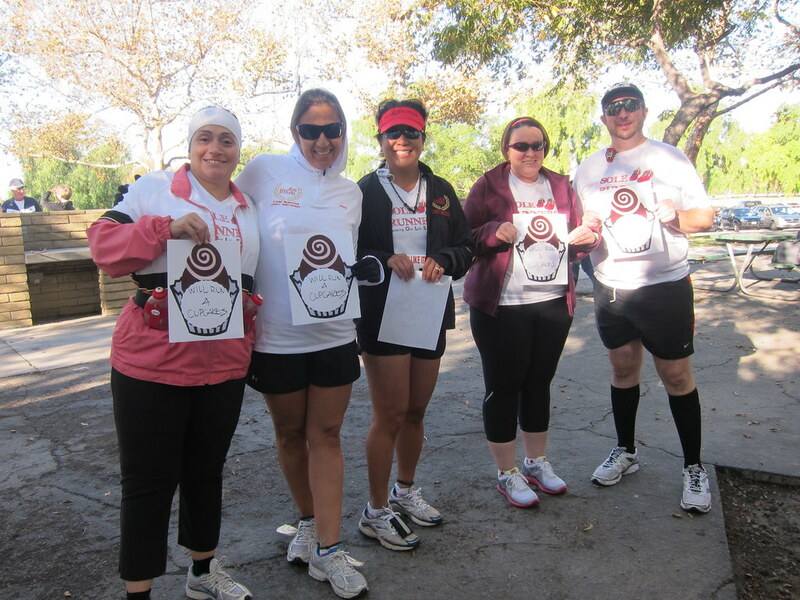 Since the Sole Runners were running for cupcakes, they all pinned 'Will run 4 cupcakes' signs on their backs. 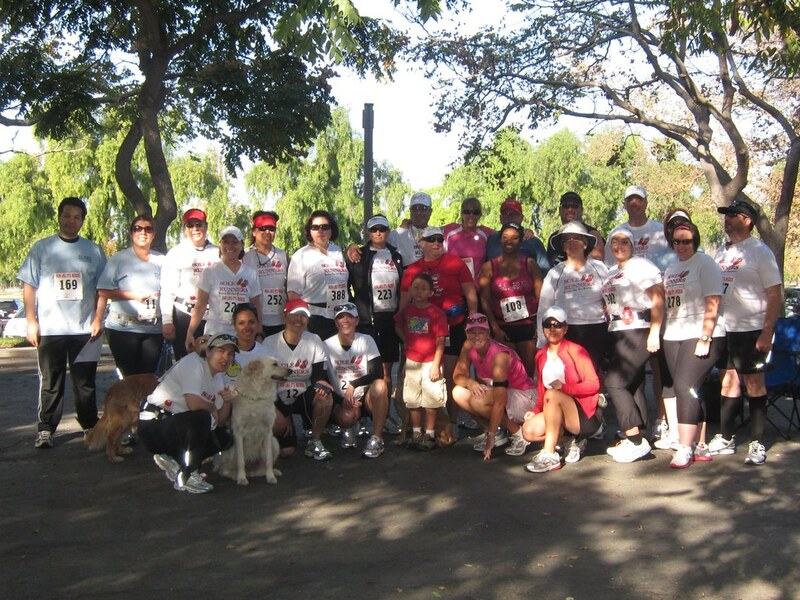 It was a beautiful day at El Dorado Park and the weather was perfect for a race. The event was well organized and the volunteers were cheerful and energetic. Newcomb cheerleaders worked the aid stations and handed out cups of water. After everyone had completed the 5k, we headed over to cheer on the junior Sole Runners in the 1k kids run/walk. Suffice to say, everyone did their very best to Run Like It's Recess today. 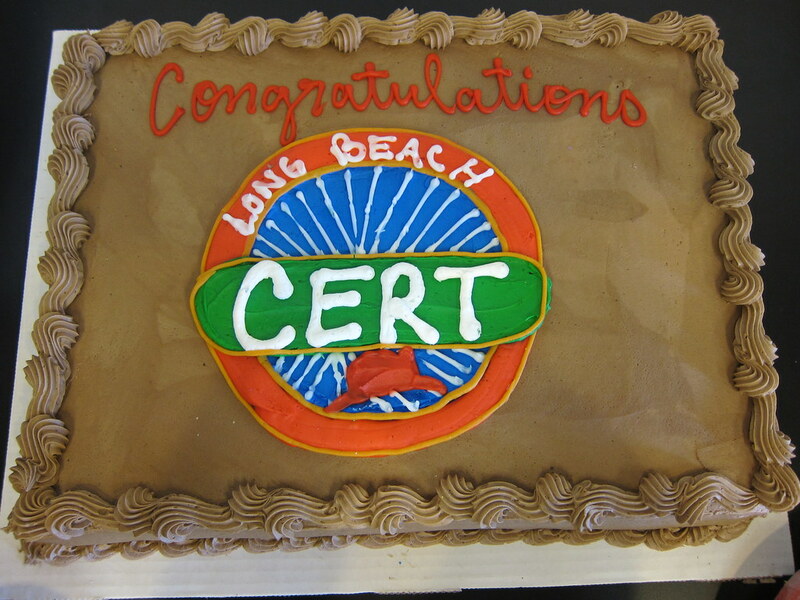 The Green Girl graduated from the Long Beach Community Emergency Response Team (CERT) program today. 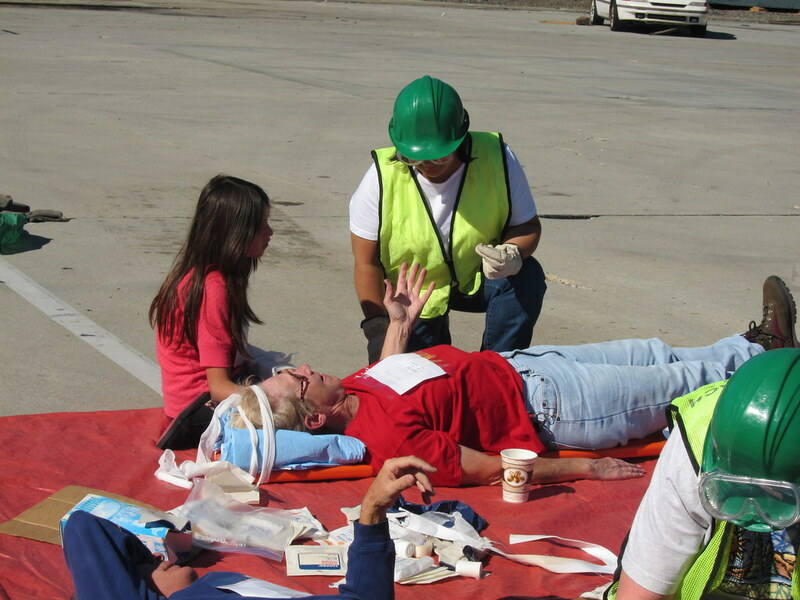 For our final class, we had to go through a simulated natural disaster drill that required us to combine all the skills we'd learned during the CERT Level I Training. The scenario we were given was a 7.6 magnitude earthquake. We were instructed to follow the Incident Command System (ICS) principles. 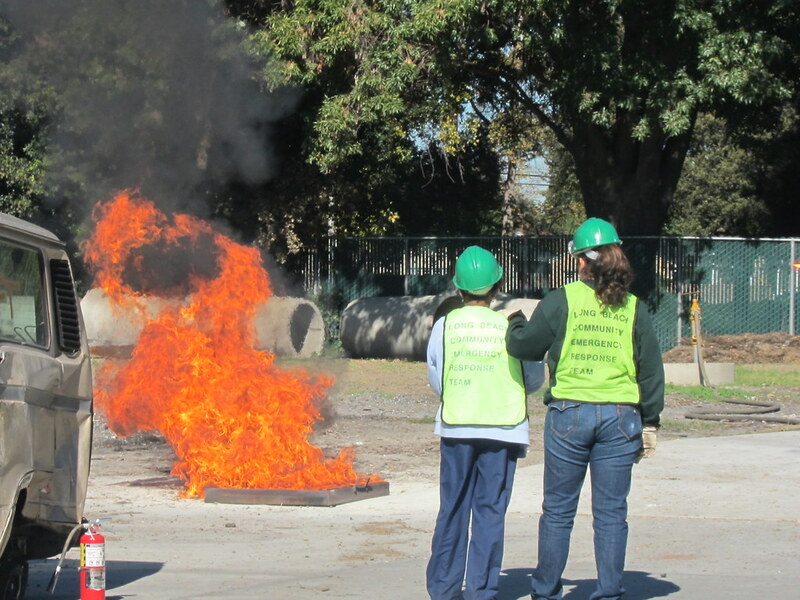 Following this methodology, the first individual on the scene was appointed the Incident Commander (IC) and was responsible for overseeing the entire operation. The IC immediately designated an Operations Section Chief, Logistics Section Chief, Planning Section Chief, and Administration Section Chief. The Operations Section Chief proceeded to identify a Fire Suppression Leader, Search and Rescue Group Leader, and Medical Group Leader. I was a part of the Search and Rescue team so we proceeded to do a 'Hot Lap' around a building to determine if it was safe to enter. We used the 'right hand in, left hand out' method to systematically enter and exit the building. When we found victims, we used The Simple Triage And Rapid Treatment (START) system to triage multiple victims in 30 seconds or less by checking Respiration, Perfusion, and Mental Status (RPM) to identify them as Minor (green), Delayed (yellow), Immediate (red), or Deceased (black). One of the victims I assisted out of the building we bleeding profusely from his upper arm so I had to hold the extremity above the heart while applying constant pressure. 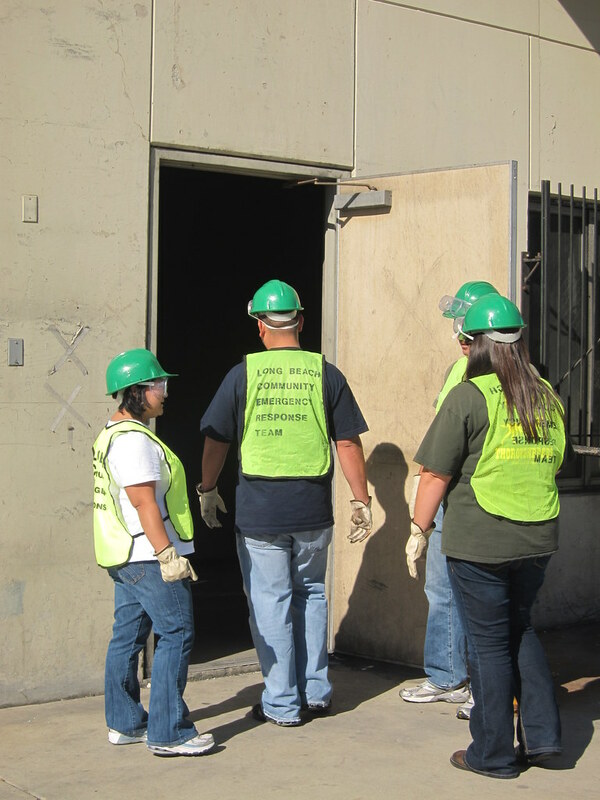 Once we felt confident we had helped all the victims out of the building, we headed over to another structure. On the way, we spotted a liquid fire near the second building so we alerted the Operations Section Chief so the Fire Suppression team could be notified. We didn't find any more victims so the Operations Section Chief told us to go to Triage to assist the Medical Group. The Medical Group Leader asked me to triage an Immediate (red) victim. It was a woman who appeared to be in shock. I tried to check her Respiration, Perfusion, and Mental Status (RPM), but she was not able to respond. I requested additional materials to elevate her feet. Even though it was a simulated disaster, the victims did an excellent job playing their respective parts and creating a sense of chaos. I was able to feel the gravity of the situation as I heard victims calling out for help and crying for their missing loved ones. At one point, a victim even escaped from Triage and tried to head back into a building to look for her children. 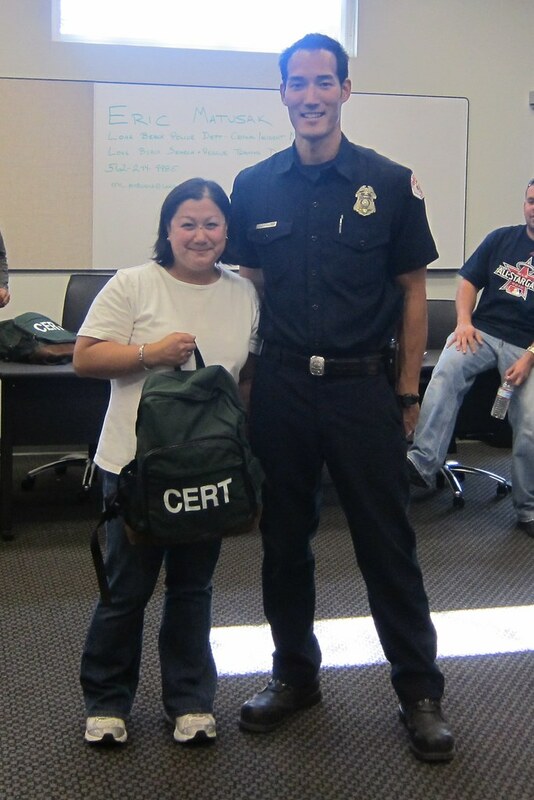 After the exercise, we received a certificate of completion, official CERT cards, and a CERT backpack containing CERT supplies. 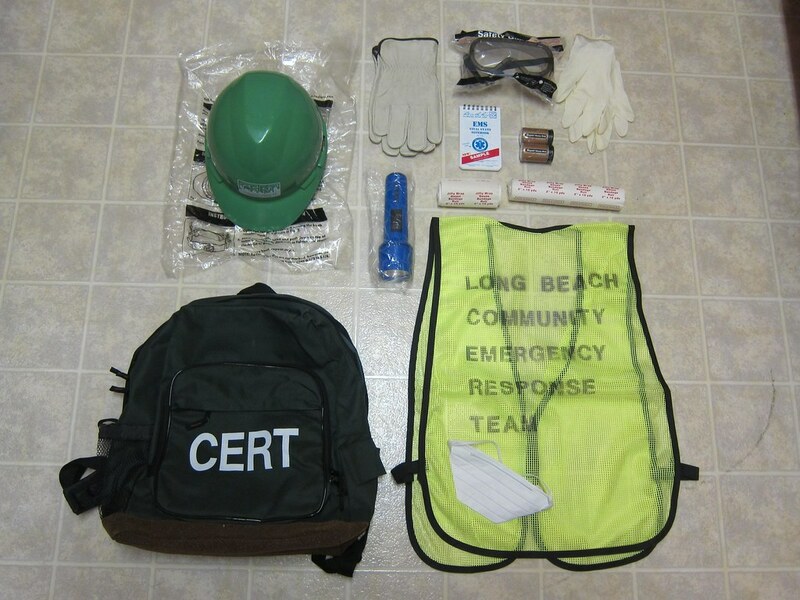 Now the Green Girl has her very own green CERT safety hard hat, leather gloves, safety goggles, rubber gloves, EMS Vital Stats Notebook, gauze bandage rolls, Long Beach Community Emergency Response Team vest, and mask. 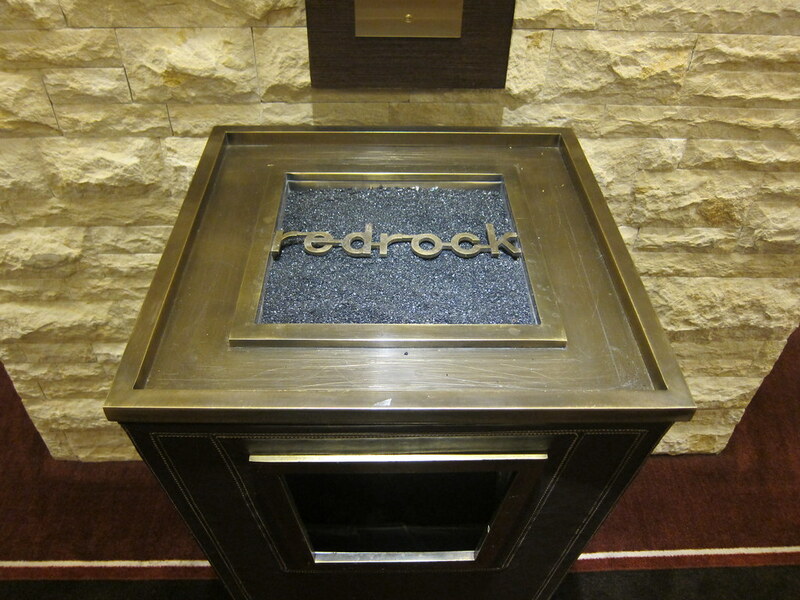 The Green Girl spent the week at the Red Rock Resort Spa and Casino in Las Vegas for work. The resort is located 20 miles west of Las Vegas Strip near Red Rock Canyon. 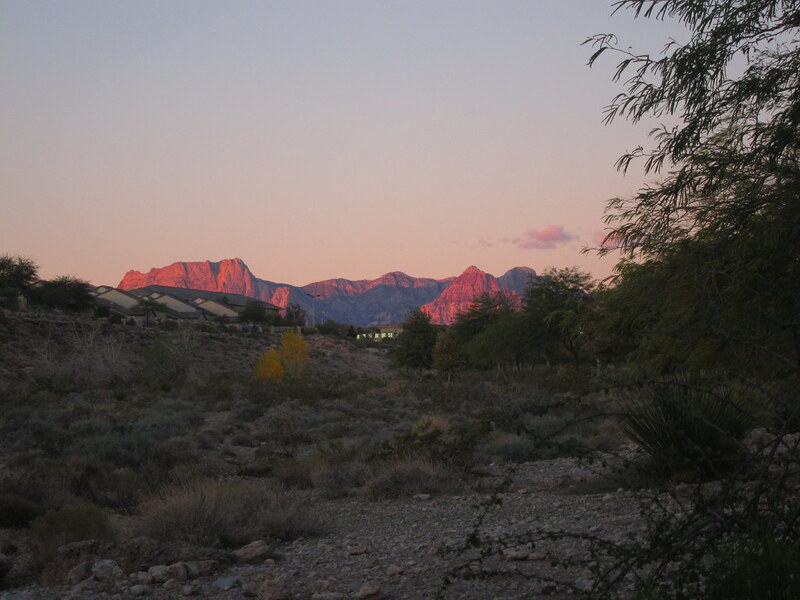 Red Rock Canyon is part of the Mojave Desert. The Red Rock mountains were formed by geological forces such as fractured faults where the earth's crust collided over millions of years and fossilized sand dunes. The sandstone rocks get their red color from iron oxide. I was pleased when I asked the concierge about any running recommendations and she handed me a local map with handwritten directions for a 3.9 mile loop. 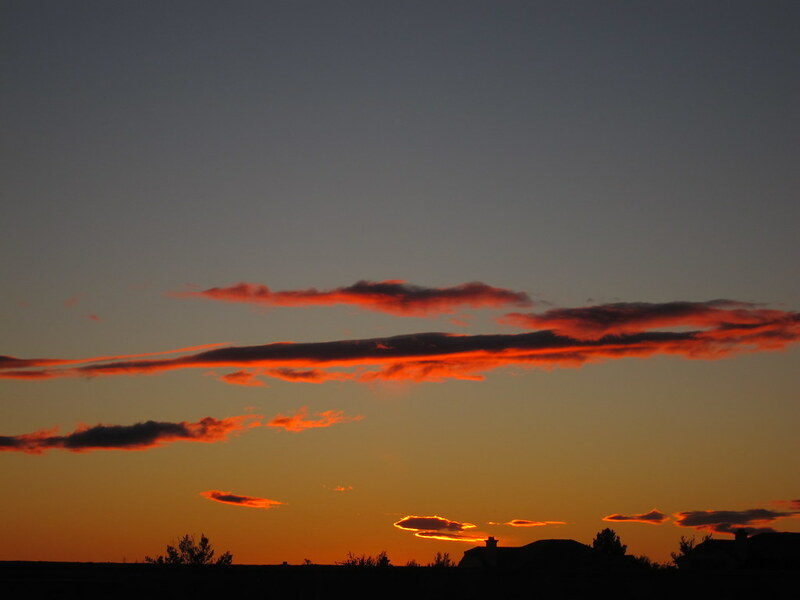 I headed out for my run just before sunrise on Wednesday. From what I could gather from the map, the first half of the run looked like it was on a trail and the second half appeared to be paved streets. Since it was dark when I was starting out, I opted to reverse the route. The path initially took me through the upscale Canyons Village residential neighborhood. I admired the neatly manicured desert foliage. 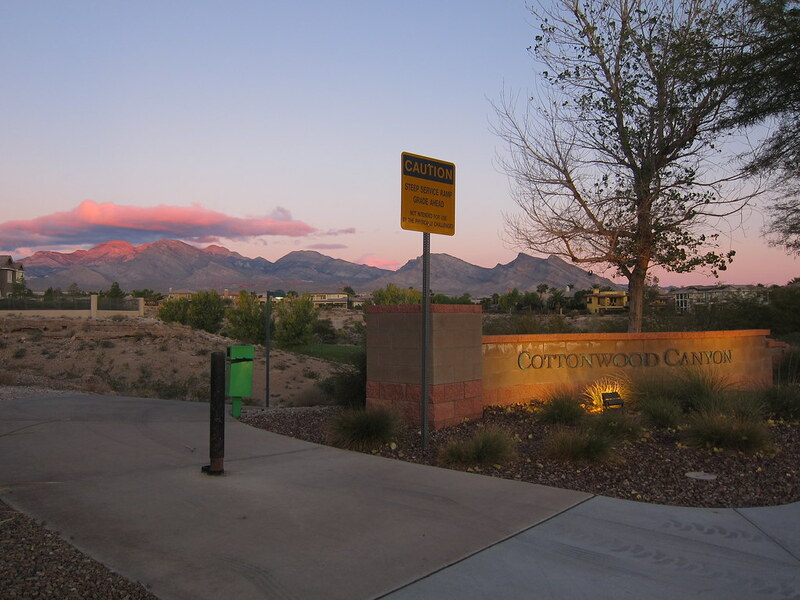 When I reached the west entrance of Cottonwood Canyon Park, the pink clouds above were shadowed with shades of purple. 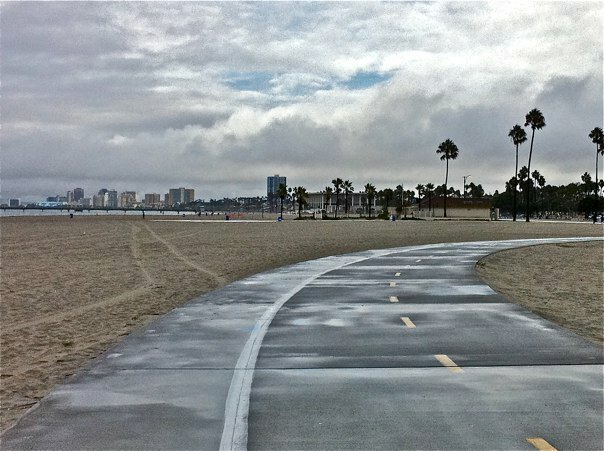 I followed the paved path as it wound through the park. In the distance, I could see the beautiful Red Rock Canyon. I smiled to myself as I passed other runners and caught glimpses of the familiar handwritten map. I savored every minute of my run. I cherished the beauty and the solitude. It was comforting to be alone with my thoughts. 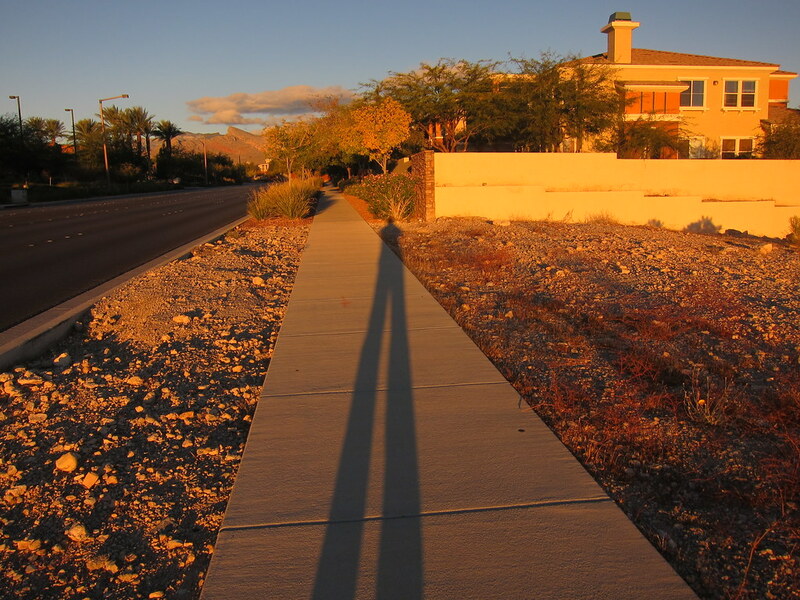 As I headed back to the hotel, I was amused by my tall shadow. The Green Girl is back home - safe and sound. I had an amazing time in Greece. The ancient ruins were more breathtaking than I could have ever imagined. I ate a glorious chunk of salty feta cheese with every single meal and tasted the most tender lamb chop I've ever had while watching the sun set in Santorini. Locals dressed in their best came out to cheer us on while children offered olive branches as 88 countries were represented at the Athens Classic Marathon. I was able to add a Greek flag charm to my bracelet to symbolize the completion of another marathon. I took pleasure in meeting runners from all over the world as we exchanged race stories. I met a Canadian by the name of Jeff who shared his Istanbul Marathon experience with me before he went for a swim in the Aegean Sea. Much to my delight, I discovered I still know French when I encountered a French couple on my way to the Ancient Thira. My thousands of pictures are in the process of being uploaded. I'll work on gathering my thoughts for my race report this weekend.